When you think of engraving surfaces, you think of wood, metal and hard surfaces like concrete or rock. What we have found is there are more applications out there for the CNC PRO as it proves being a flexible machine. Christi Tamayo of Select Surface Solutions is known for thinking outside of the box. However, creating custom stamps is something very different. Select Surface Solutions was approached by an artist from Buenos Aires who was commissioned to create Concrete Poetry on a sidewalk located adjacent to a Miami school. Select Surface Solutions recommended the appropriate materials to create durable concrete stamps, information to meet ADA compliance, and local contractors for the installation. Select Surface Solutions provided a set of sample stamps in August of 2017 but due to Hurricane Irma, the project was postponed until August of 2018. In the end, they created 63 custom concrete stamps for this unique project and provided consultation for installation. Something to note: the process for uploading desired images to the CNC PRO software was not challenging because the letters were already in the format needed. RedArt Technologies made sure to test a few different programs to make sure the ones they use is among the most user friendly and convenient for its users. Christi said it only took a few minutes to vector and save the tool-path for each letter. They engraved on ½ inch 8′ x 4′ PVC sheets. 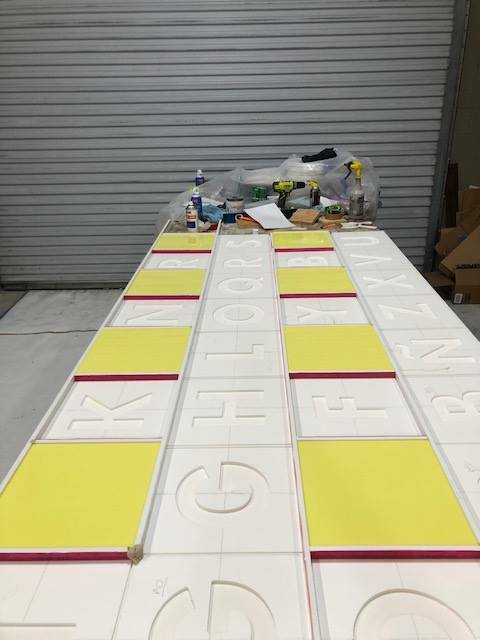 They also made a 12″ x 12″ grid pattern on the PVC so they knew where they needed to start our carving to create a uniform orientation for the various letters and borders. Then they used small PVC strips to create a mold for each individual letter. These strips were taped down with double-sided tape with a strong adhesive. They used a 5/16″ end mill bit to carve the letters and a 1/8″ end mill bit to carve the square border. Each letter took from five-ten minutes to carve (depending on letter size) and the border took a little over a minute. They ran both cuts at 70% and at two passes. They ran this at multiple passes at a higher speed to ensure smooth, crisp cuts. There are some amazing companies out there that sell outstanding stamps. There are also other companies that offer templates for hand cutting and coloring. What we are suggesting is an answer to when something needs to be custom fast. Benefit to the CNC PRO is how easy it is to import a design and start engraving what you need. 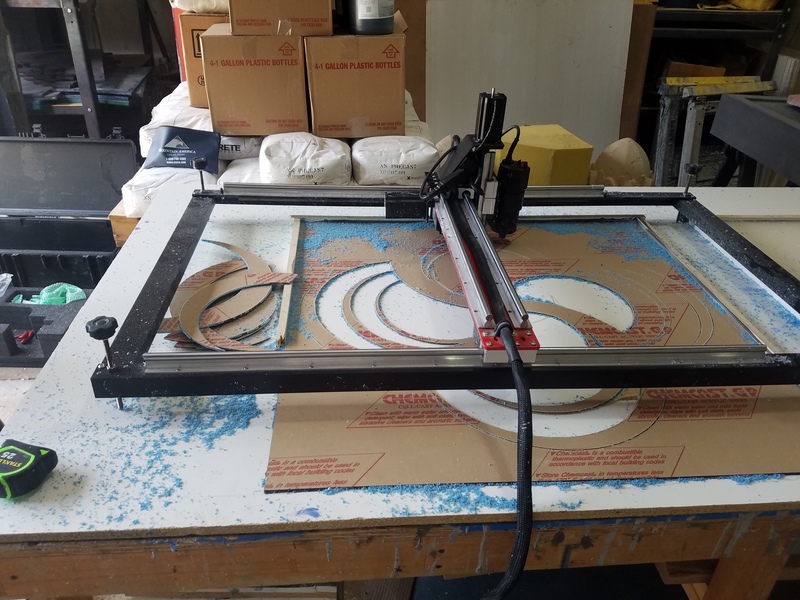 Select Surface Solutions recently completed a job for a local park that consisted of engraving custom bird images, creating molds, and casting GFRC for round pavers. The birds are standing proud off the paver rather than being recessed. They are the only company in the industry who have those molds. 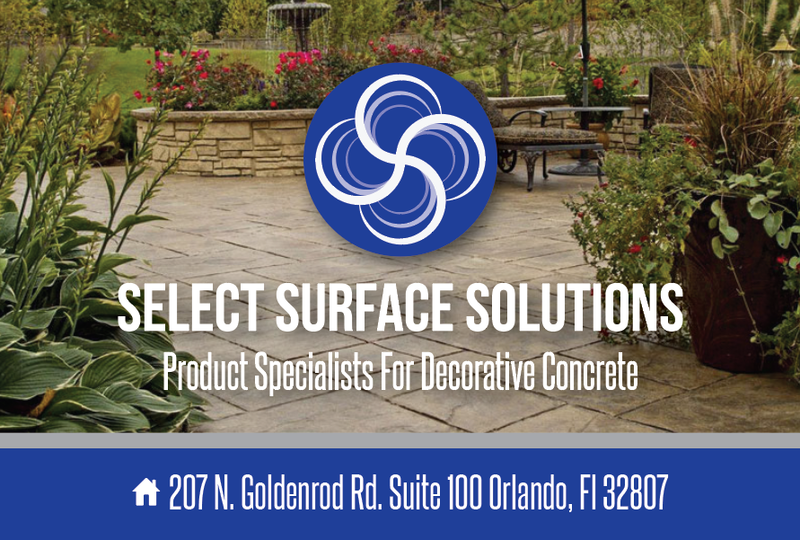 Please check out Select Surface Solutions as they are a distributor for the CNC PRO as well as other decorative concrete products. They also offer training classes that cover a lot of decorative projects to help you build skills and grow your business. RedArt Technologies was created by Bountiful, Utah resident Henry Ashworth. Mr. Ashworth developed the CNC Pro portable engraver to meet the demand for businesses, entrepreneurs and non-profit organizations. Customize surfaces with any typeface, logo, pattern, graphic or image they desire. This makes everything quick, simple and professional.